B Side Mikey Show / Dio – Radio for the People, by the People. Dropping a old school DIO night on the B Side Mikey Show for all of the ear holes around the world. 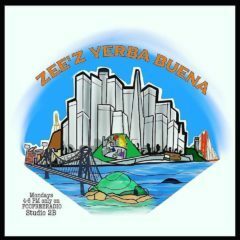 Studio 2B > 8pm to 10pm (PST) is where & when, it goes down. This show was inspired by my friend Scottie & all of you “blues lovin” “stoner rock” “metal heads” who have dropped the request over time. A major influence in many ways to the dark side of the scene while working with so many amazing musicians for decades. His solo work, Sabbath, Rainbow, brought a one of a kind voice to the mic. R.I.P. Ronnie! LIKE my biz page if you would be so kind on Facebook which is B Side Mikey Show. Remember don’t drink and drive!!!!!!! \m/ \m/ THANK YOU ALL FOR YOUR SUPPORT!